Identified only as A. Campbell, a Jamaican lottery winner paid homage to the horror franchise Scream. The winner wished not to be identified and so hid his face with the iconic mask, cape, and gloves. 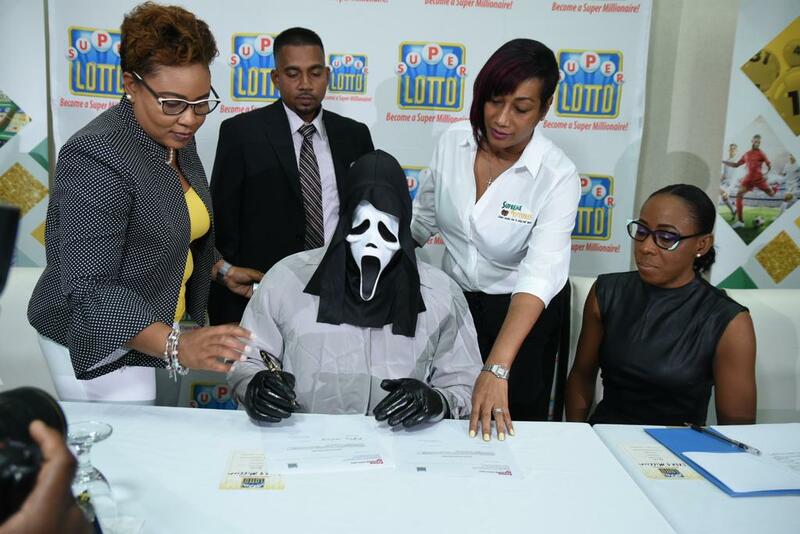 A lottery winner in Jamaica recently claimed his $1.1 million prize, wearing a white cape, black gloves and the mask from the classic slasher film Scream. The Super Lotto winner, who was identified only as A. Campbell, made a memorable appearance last week at the Spanish Court Hotel in Kingston to collect his lottery prize, worth more than 158 million Jamaican dollars; but it took him 54 days to muster up the courage to do it, according to Supreme Ventures, which operates the game in the Caribbean. Campbell told the Jamaica Star that after he won in November, he felt sick for days “because I was thinking so much.” But when he showed up Feb. 5 to pick up his cheque, he said he was feeling better. “I’m kind of OK,” he told reporters, according to the newspaper. “I’m just a bit numb.” Campbell told the Jamaica Star that he was initially overwhelmed. And once he did, he made quite the impression. Supreme Ventures tweeted out photos last week showing him – in costume – collecting his million-dollar prize, then posing with his giant cheque. Fun fact: Campbell appeared to be playing homage to the 1996 horror film “Scream,” which starred Neve Campbell. It took Campbell awhile to collect the prize. However, it gave him time to think about how he wants to spend it. Last year in Jamaica, a woman who won the Super Lotto jackpot wore a mask of a winking smiley-face emoji. Simone Clarke-Cooper, assistant vice president of Group Corporate Communications at Supreme Ventures, told the Jamaica Star that others had started doing the same thing. In China, winners have dressed up as panda bears, babies and robots to protect their identities. Several years ago in the United States, a California man covered his face with the enormous cheque. Last year, a woman in New Hampshire fought in court to keep her identity a secret – and won. 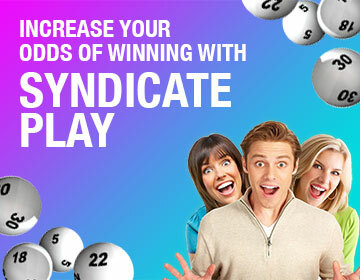 Would you hide your identity when collecting a massive prize? Play at OneLotto today!